The idea behind The Wine Composer is to make music out of wine; music that describes our impressions of certain wines and wine regions and their specific characteristics. When we started to develop the concept in 2012, we quickly agreed that we have to try this for real. To do so, we had to choose a suitable wine region and this is where I took the lead. The great thing in our team is that we have different skills, but in a complementary way. Tuomas has a shorter experience of wine but he has an extremely precise palate and he tastes very similarly to me. This makes it somehow possible to transfer my knowledge to Tuomas, who then uses it to transcribe the wine into music. But he probably could describe the process even better than I do. In order to pick a region, I started to lay down a few criteria. First, the region had to display a very strong definition of terroir and variation of terroirs. Second, it should be focused on single grape wines, if possible with only one or two grapes in the whole region. Only one grape would be considered over different producers and villages. Last but not least, it had to be a leading wine region in terms of pure quality, because to compose great music, we need great wines. There were quite a few possibilities matching the criteria. In France, I thought first of Burgundy, then Alsace and Loire Valley. There was also a possibility to work on northern Rhône (with Syrah)… In Italy, there were a couple of options like Barolo or Barbaresco but the Nebbiolo is a very difficult grape to understand. In Austria, the Wachau was the perfect spot. Same history as Burgundy, same terroir definition and only two grapes (Grüner Veltliner and Riesling). But over the past years, there have been plenty of difficult vintages (eg. 2009, 2013), the old vintages are difficult to find and it is quite far away. 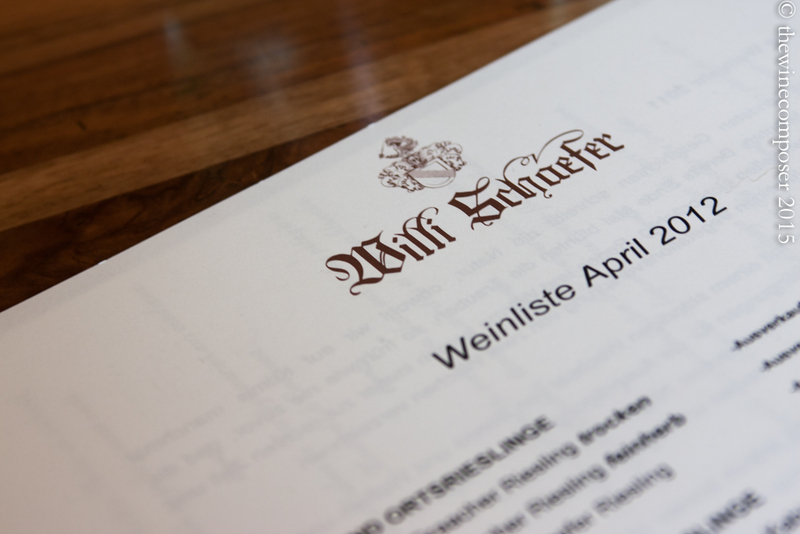 But the wines we picked were in the end, the brilliant Rieslings of Mosel, in Germany. Quite by chance it happened that in 2010 I had discovered and fallen in love with Mosel. Even if I dramatised a bit the choice in the previous paragraph, I actually considered quickly, that this was a perfect place to develop the idea. The terroir history is the same as Burgundy and Wachau (discovered by the Romans and developed by the Church), the different spots are well identified and the variation makes absolute sense. There is only one grape, the king Riesling, and the production is of a stunning quality. The wines are immensely diverse and older vintages are still “easily” available. Besides, we understood later that people were incredibly friendly, which made things even easier. That was decided. 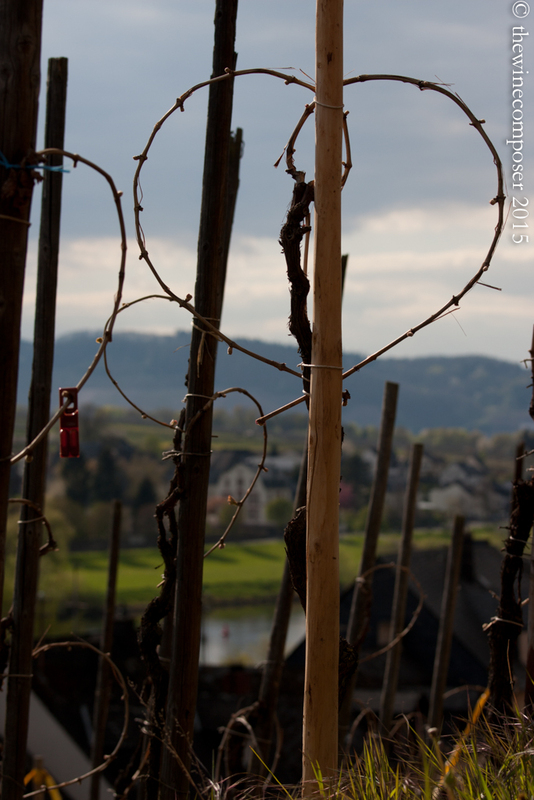 In april 2012, we made our first trip to Mosel. A discovery trip where I needed to introduce Tuomas to the wines: the different terroirs, the different types of rieslings (from dry to super sweet), the different estates… over a few days, we tasted more than a hundred wines, from Piesport to Pünderich. A fantastic first experience, from which we brought back a lot of material. And I think I can say that Tuomas too, fell in love with the region, the wines and the people.